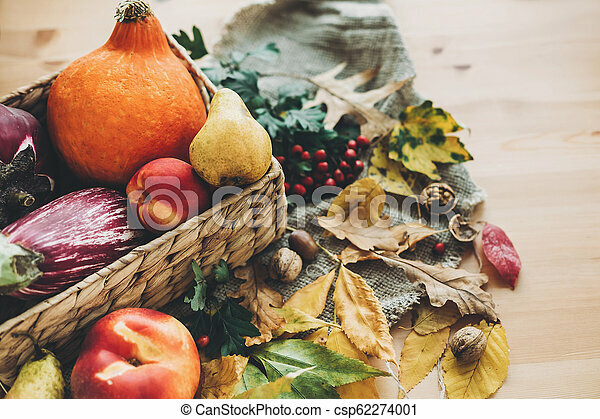 Beautiful autumn pumpkin and vegetables in basket and colorful leaves with acorns and nuts on wooden table, top view. fall bright image. harvest time. happy thanksgiving.